A toast to another successful design by SNASK. 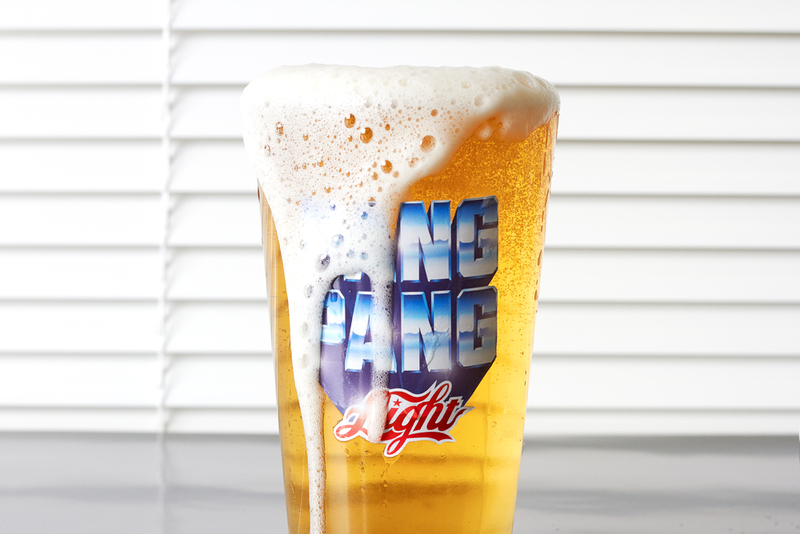 PangPang Aight features a reflective beer label that glistens under sunlight. The metallic chromed type, inspired by the 80s and Mad Max is eye-catching in conjunction with "Aight's" scripted type, deliberately written to read "Light". "In a world full of giant breweries trying to pose as craft brewers PangPang stands out as the original that everyone are trying to come across as. However founder and master brewer, Fredrik Tunedal, decided to turn it around and copy the big breweries instead by trying to make the crappies beer he could. He used the cheapest adjuncts he could find and went all out of his way to try and make the beer as bland and boring as he possibly could. He did horrible stuff to the yeast to stress it, it all became a time travel to “when men were men and beer was beer”, a horrible time. The problem was it turned out to be delicious and people loved it."